Julius Caesar’s grand-nephew Octavian had a genius for politics. Within a year after Caesar’s death the teenager became one of Rome’s three leaders. Just over a decade later he took total control. 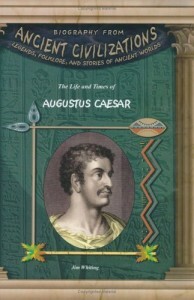 The Roman people gave him a new name: Augustus Caesar.